Just starting a one-man real estate wholesale buying/selling and flipping homes entrepreneurial business. I'm not a Realtor. 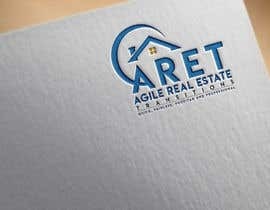 I need a unique logo that that communicates outside-of-the-box thinking to solve each individual buyer/seller's problems in transitioning real estate. We know how to and will help you buy and/or sell any property Quickly, Painlessly, Profitably and Professionally." Blue would be a good background color....deeper on the lower part. Orange up top. Bold easy to read company name & tag line. Example of images below for generall ideas only.....attempting to get at diversity ie. not just single-family homes. So, Shakera B., you are saying that the logos submitted on plain paper are also 3D mockups? simple & easy to undersatnd how the logo will be on printing. Can you wait until the time is ended? To: Shakera B. Q: When you say "The problem is that you are only considering logos on shining walls..." what exactly do you mean? here many good designer not participate beacause of fake mockups consdering, just ask designer to submit logos on flat background, so there will be no copy paste logos, they hide generic & overused logos in mockups. I posted this 5-days ago and few read or it may be too difficult to create....... But there have been very few submissions that show single-family rooftop(s) icons along with 1 or more 3 or 4 story buildings like a graystone and/or more modern architecture. Stylized is still good if done right to capture the essence of the architecture. Questions? The problem is that you are only considering logos on shining walls 7 mockups, which are not real files, the logo should consider on flat background, that is the reason most of the top designer does not participate. Here are some links to a few images of the type of building(s) I would like to appear in my logo graphic, in proportionate size, along with the roof graphic so many in this contest have included in their designs. One or two designers have added stylized Skyscrapers, but no 2 to 4 story GrayStone buildings like these: https://browse.startpage.com/do/show_picture.pl?l=english&rais=1&oiu=https%3A%2F%2Fi.pinimg.com%2F236x%2F87%2F89%2F4c%2F87894c3dc890bbde71f9484da39b5c18--chicago-university-chicago-illinois.jpg&sp=19fa68215e948bc856748ec33d7b4537&rl=NONE&t=default https://browse.startpage.com/do/show_picture.pl?l=english&rais=1&oiu=https%3A%2F%2Fwww.chicagohomemag.com%2Fimages%2Fcache%2Fcache_3%2Fcache_d%2Fcache_c%2FBuildings-d78f5cd3.jpeg%3Fver%3D1482337919%26amp%3Baspectratio%3D1.475&sp=71b1e263bc1c02ad23910292f72790ea&rl=NONE&t=default https://browse.startpage.com/do/show_picture.pl? Please check entries #408 , #409 , #410 , #411 , #412 . Thank you. 5) I'm still looking for an Icon that neatly/cleanly combines single family homes with 3-4 story buildings. Many logos with one or more "rooftops" (with and without a chimney...I think chimneys are good when subtly done) have been submitted along with quite a few single-family rooftops combined with skyscrapers. The former, with only 1 or multiple single family style rooftops or depictions of single-family building have been very good. But there have been very few submissions that show single-family rooftop(s) icons along with 1 or more 3 or 4 story buildings like a graystone and/or more modern architecture. Stylized is still good if done right to capture the essence of the architecture. Questions? 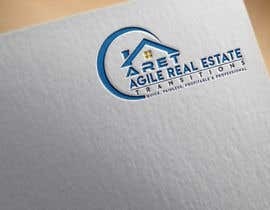 Update: 1) Removing design color restrictions initially posted 2) AGILE REAL ESTATE should all be on the top line with TRANSITIONS below OR AGILE on top and REAL ESTATE TRANSITIONS below 3)"TRANSITIONS" is an important word that sets my company apart from other real estate company and the way they do business, so although the word should not dominate the logo, it should subtly stand out even in the last place on the tag line 4) Please drop the"ly" from the ending of all tag line words. please check #375 #376 #377 #378 #379 and please feedback? Dear Sir, Please #368 Hope you like it. I waiting for your review. If you want any additional change please tell me so I can modify it. 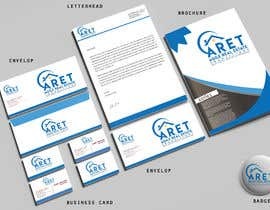 and you will get your logo in high quality vector files. You give rank for generic - overused logos. I think the title looks better with "AGILE REAL ESTATE" all on one line and "TRANSITIONS" below. Maybe "AGILE" above and "REAL ESTATE TRANSITIONS" on the line below. Change tag line to: "Quick, Painless, Profitable & Professional"
Sky to light royal blue background not white....soften letters...less industrial/commercial more friendly but professional. Softer...more residential...suburban y=type homes & buildings up to 4 stories (4-flats)...see images included.